Mt Washington is a small area of Pittsburgh located on the south side of the Monongahela and Ohio Rivers. 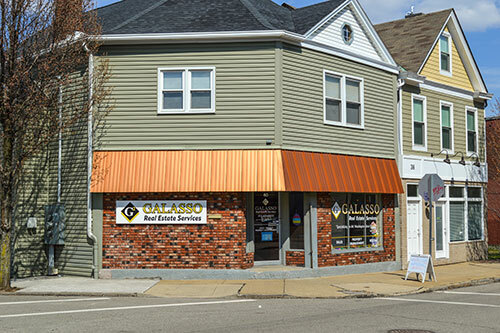 This vibrant neighborhood offers convenient access to downtown and surrounding neighborhoods, making it an ideal location for Pittsburgh professionals and families. The Duquesne and Monongahela Inclines make it easy for you to access the T light rail system for work or to escape into the city for an evening of excitement. Buses run throughout the neighborhood for access to work, schools and universities. Mount Washington offers the perfect blend of a quiet community and urban excitement. Virtually every picture you've seen of Pittsburgh was taken from Mouth Washington's overlook. Mount Washington is consistently recognized and celebrated for its incredible views. The steep hillside offers world-renowned views of the three rivers, iconic bridges, the Point and the downtown skyline. You can even enjoy fireworks on holidays and during sporting events. 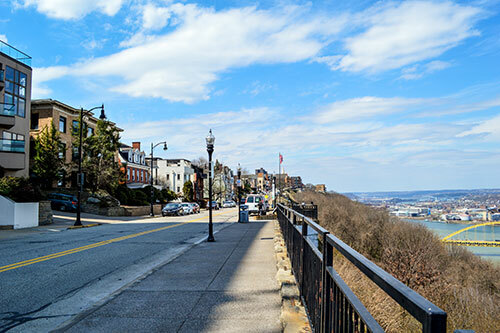 The appropriately-named Grandview Avenue offers a front-row view from apartment windows facing the city, but every resident of Mount Washington has access to a hillside walking path and overlooks of the city. Mt Washington offers a nice variety of restaurants and other food options on Shiloh Street, Grandview Avenue and other nearby areas. Mount Washington is home to award-winning gourmet restaurants, comfortable neighborhood taverns and sports bars, bakeries, salons, boutiques, coffee shops and more. The variety of established businesses creates a great area for job-seekers, and the availability of real-estate creates a great environment for start-ups and new businesses. 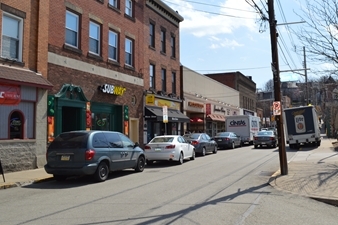 In addition to a variety of dining options, the Mt Washington business district offers plenty of conveniently located businesses without having to leave the Mount. Some of these include a post office, dry cleaners, several banks, wine & spirits, dollar store and a grocery store. Public and private schooling options make Mount Washington the perfect place to plant your family. The Mount Washington community offers all of the amenities for comfortable modern living within walking distance. For more information, check out the Mount Washington Community Development Corporation. Maybe we're a little biased, but you won't find another real estate company that is located in the heart of Mt Washington and has extensive knowledge of this wonderful community. 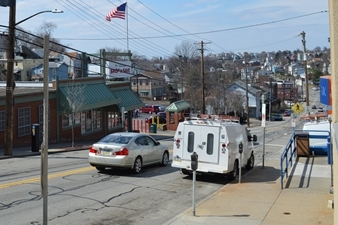 We have been situated in Mount Washington for three generations, giving us personal insight into living and working in this unique neighborhood. We are happy to be residents and community members in the area we serve, and we would be thrilled to help you become a part of Mount Washington as well. Contact us today to inquire about services or available properties. "We know the mount!"